Accord Real Estate Group is owned and operated by Fort Myers residents, Scott and Mary Ann Lodde who have owned their little piece of paradise at the Sanibel Harbour Resort since 1987. 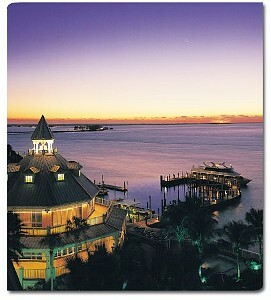 Scott headed the team that developed the Sanibel Harbour Resort & Spa for Liberty Real Estate Group (Liberty Mutual). The resort opened in December 1989 with 240 hotel rooms. Mr. Lodde’s property experience includes hotel, multi-family, office,retail, and health care. His recent projects include a Fairfield Inn by Marriott (Fort Myers, FL), a Hilton Garden Inn (Fort Myers, FL), a Residence Inn by Marriott (Avon, CT), and the Inn at Pelican Bay (Naples, FL) for which he oversaw the redevelopment of the property to a condominium-hotel. His newest project, the Marriott TownePlace Suites in Estero, Florida opened in June, 2017. In addition to his involvement as President of Accord Real Estate, Mr. Lodde is a principal of the Alliance Group, a privately held firm specializing in advisory and asset management services to the real estate and insurance industries. Over the years Sanibel Harbour expanded and now contains two hotels with accommodations that include 278 guest rooms and 69 suites. Mr. Lodde and his team were responsible for the creation of the rental management program within the two condominium towers that are adjacent to the hotel complex. The Resort also offers eleven meetings rooms with 45,000 SF of total meeting space, six food and beverage outlets, a 40,000 SF spa and fitness center, tennis facility, and three outdoor pools. Accord Real Estate is committed to serving its guests with honesty and integrity in their search for the perfect vacation rental whether at Sanibel Harbour condominiums or other area accommodations. Many times the simple pleasures of vacationing can be hampered by the stress of planning, making reservations, and the inevitable doubt of the quality of the accommodations. Our knowledgeable staff will put your guest’s mind at ease, making sure all of the arrangements are taken care of and exceeding all guest’s desires at every turn. From early in the planning stages, to every activity during the stay, a vacation can be tailored to every need. Boat rentals, golf cart rentals, diving and fishing excursions can be arranged easily prior to arrival. And since each property we offer in our portfolio is a home or condo (not a hotel), the accommodations are never in question. Here, each guest can redefine every perception of what a vacation is supposed to be – having the opportunity to vacation worry-free. Our guests experience professionals with local knowledge, discover easily accessible deserted beaches and uninhabited cays, always returning to enjoy the comfort of a true residence … not a hotel room. With Accord Real Estate, this is not only possible, but also something each guest should expect. So no matter if you’re introducing family and friends to the wonders of Southwest Florida for the first time, or rediscovering your favorite destination, with Accord Real Estate, you’ll find yourself right where you belong!